Should Scotland set its own abortion law? The Scottish First Minister, Alex Salmond, is calling for the power to legislate on abortion to be devolved to the Scottish Parliament, with the intention of cutting the time-limit on terminations. As a first stage, reports the Scotsman, the Scottish National Party leader is calling for an independent commission to be set up to consider whether the issue should be devolved. Although devolution of powers is, in my view, generally a good thing, the point here seems to be that the power is being sought purely as a means of restricting women’s access to abortion. Given that the SNP, and Salmond particularly is pushing for a completely independent Scotland, you’ve also got to wonder if they’re not just trying to exploit anti-abortion feeling to garner more support. 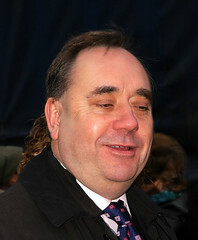 Whatever the reason, Salmond appears to be playing politics with women’s right to control their own bodies. We believe that the reason for making abortion a devolved issue is to further restrict women’s access to terminations as demanded by interested groups such as the Catholic Church. For more information, you can email warscotland@googlemail.com.